Being a student typically means tight budgets and little time. But like we discussed last week, college students pay taxes too! And if you’re like the college entrepreneurs we profiled, you could actually be paying a lot of taxes. College students also have other things to think about when it comes to taxes: financial aid and the FAFSA. How much money you make, and when you file your taxes, can make a big difference when it comes to filing your FAFSA. And if you want Federal financial aid, or even merit-based aid from many colleges and universities, you need to file a FAFSA each year. 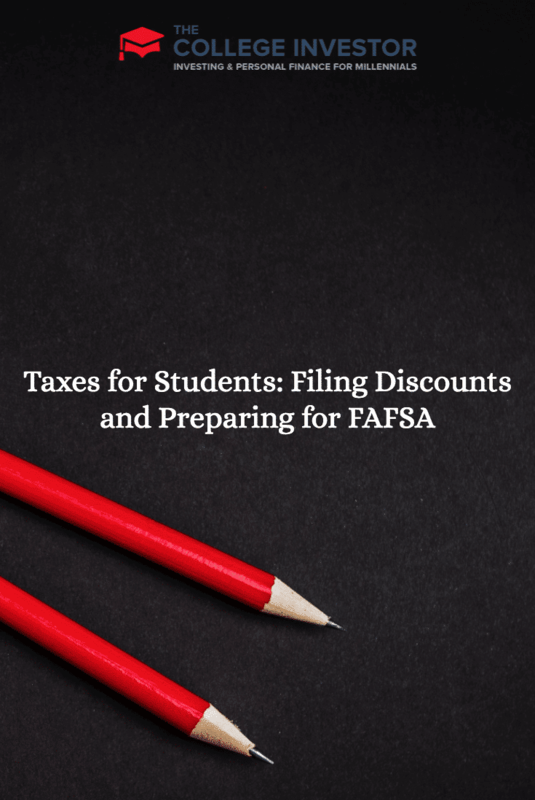 So, what if you could get a discount for filing your taxes, and find out everything you need to know to file your FAFSA in one simple place? If you’re a student, chances are you an qualify for free e-filing with TurboTax for Students! That is a huge savings. What do you need to qualify? If you file a 1040A or 1040EZ (which is subject to certain income limits and other restrictions), you can get a free Federal return. That’s huge! If you went to a tax shop like Jackson Hewitt, you could easily pay $200 or more for the same thing! Plus, if you are a student, you can be sure that TurboTax will give you all the education tax credits that you are entitled to. There are a variety of education tax credit and education deductions that are made for college students and those getting continuing education — so make sure that you are taking advantage of them. Plus, if you’re a college student, you have to file the FAFSA (Free Application for Federal Student Aid) as early as possible. Depending on the school and state, most of the early deadlines for FAFSA filing are in early March. You want to file as early as possible so that you can get as much financial aid as possible. If you file too late, you could miss out on financial aid opportunities. That means you need to have your tax return completed so that you can file your FAFSA. But TurboTax for Students takes this one step further: after you file your taxes, you can get a FAFSA-friendly view of your taxes so that you can input all of the correct information onto the correct spots on your FAFSA. TurboTax for Students makes the FAFSA easy! If you’re a student, don’t be afraid to do your own taxes. You can do it — I’ve been doing my own taxes since I was 13 years old, and I use TurboTax every year. If you have any questions, leave a comment below and I’ll do my best to help. I only recommend things that I use and I truly believe are helpful — and this is one product that is. I started doing my own taxes when I was in college, using TurboTax. It remember thinking it was a lot easier than I expected! I still use TurboTax for my taxes most years, unless I’ve got something particularly complicated going on that I want a professional’s advice on. Thanks for sharing your story. I think it’s great that you’re doing your taxes – it’s very easy and it’s helpful to know for the future. Thanks for sharing – I think it’s a key skill to learn as well.